Authors: Zayka T.O., Evdokimov D.V., Abramets I.I. Background. It was find out the cerebroprotective properties of diacamphe – (±)-cis-3-(2’-benzimidazolyl)-1,2,2-trimethylcyclopentan-carbonic acid hydrochloride in vivo experiments in the some models of brain injury. Aim. To investigate the neuroprotective and antidepressant-like activities of diacamphe. Materials and Methods. It was investigated an impact of diacamphe on inhibition of the pyramidal neurons field synaptic potentials evoked by N-methyl-D-aspartate, procedure anoxia/neuroaglicemia, and H2O2 in the electrophysiological experiments on hippocampal slices for evaluating of diacamphe neuroprotective activity. It was explored in behavioral experiments the impacts of diacamphe and antidepressant imipramine on basic manifestations of behavioral depression evoked by five-days swimming stress – helplessness and anhedonia. Results. It was ascertained in experiments on the hippocampal slices that diacamphe especially at conditions of systemic administration diminished of injury of the pyramidal neurons synapses induced by procedure anoxya/aglicemia, oxidative stress, but not N-methyl-D-aspartate action. The chronic administration of diacamphe in dose 10 mg/kg reduced the manifestations of induced by swimming stress behavioral depression, decrease duration of immobility in forced swimming test (helplessness) and increase preference of intake of sweet solution comparably with water (dilution of anhedonia). Antidepressant-like action of diacamphe differences from action of traditional antidepressant imipramine so far as diacamphe did not diminishes immobilization duration in swimming test after single administration and by more slow developing of action. Conclusions. Diacamphe possesses neuroprotective action and therefore manifests antidepressant-like action against the background behavioral depression evoked by swimming stress. diacamphe, neuroprotective action, behavioral depression, helplessness, anhedonia. Diacamphe – (±)-cis-3-(2’-benzimida-zolyl)-1,2,2-trimethylcyclopentan-carbonic acid hydrochloride – was synthesized in Kharkov National Pharmaceutical University under the direction of prof. S.I. Merzlikin. It was found in research on experimental animals that diacamphe possesses neuroprotective properties manifested by increase in the survival of animals and by improvement of the functional condition of the brain in acute cerebral circulation disorders, in neurotrauma and in alcohol intoxication. In studies conducted on rats with experimental diabetes mellitus it was found that diacamphe diminished manifestations of brain damage and improved survival of animals in bilateral occlusion of carotid arteries, in acute asphyxia and in normobaric hypoxia with hypercapnia, and also increased the flow rate of the cerebral circulation in postischemic reperfusion [1-4]. It is also known that classic antidepressants demonstrate an evident cerebroprotective effect in hard injuries of the brain tissues such as anoxia/aglycemia, excitotoxic action and oxidative stress [5,6]. Al last, according to some data, pharmacological substances that improve biochemical parameters of the activity of the brain tissues, eliminate certain manifestations of depressive syndrome – anhedonia, anxiety [7,8]. One of the trends in treatment for medical drug-resistant forms of depression is potentiation of action of antidepressants by medical drugs possessing cerebroprotective effect, since depression is characterized by morpho-functional disorders in the limbic structures of the brain . Therefore, in this study we tried to find out the effect of the substance that improves the functional condition of the brain and can be used in treatment for non-psychiatric diseases (cerebral circulation disorders, traumatic damages, intoxications) of the brain, and influences the level of depressiveness in modeling of depressive syndrome. Such properties are inherent to diacamphe used in the present study. The study was conducted on 76 white outbred rats of 150-250 g mass that were kept in cages of 4-6 animals in each with 12-hour light/dark cycle (switching on the light at 7.00) with a free access to water and food. The study was conducted in correspondence with the requirements of Bioethics Commission of M. Gorkiy Donetsk’s National Medical University. Electrophysiological study was conducted on slices of the dorsal hippocamp. The details of the method were given earlier . In brief: rats were narcotized by intra-peritoneal introduction of ketamine at the dose 50 mg/kg. Narcotized animals were decapitated, the brain was taken out of the skull and cooled in the preparation solution at temperature 4-6°C. Dorsal hippocamp was isolated from the posterior pole of the brain. Slices of 400 µm thickness were obtained using vibratom. After that hippocamp was isolated from transverse slices; the slices of the mentioned stricture were placed into an incubation chamber, where they were superperfused with Krebs’ solution of the following ionic composition in mM: NaCl – 124, KCl – 3; KН2PO4 – 1.25; NaHCO3 – 26, CaCl2 – 2, MgSO4 – 1, glucose – 10. In the incubation chamber Krebs’ solution was saturated with carbogen, at the temperature maintained at 25°C, with flow velocity 2 ml/min. After 90 min of incubation one of slices was placed into the working chamber of 0.5 ml volume where it was superfused with Krebs’ solution saturated with carbogen at 28°C, with flow velocity of solution 2 ml/min. In slices of hippocamp, population excitatory postsynaptic potentials (pEPSP) of pyramidal neurons of CA1 region were evoked by electrical stimulation of Schaffer collaterals and were recorded. Synaptic inputs were stimulated using a bipolar nichrome electrode with rectangular current pulses with 0.1 msec duration. After stabilization of the amplitude of pEPSP, curves of pEPSP amplitude vs. intensity of presynaptic stimulation were constructed. Excitotoxic action of NMDA was studied using the method proposed by Liu Y., et al. . For this, 50 µM NMDA was applied on the hippocamp slices in the presence of 1 µM glycine for 15 min. After that slices were placed into the incubation chamber for not less than 1 hour. The slices were taken to electrophysiological research in 1 hour after termination of the effect of NMDA. Anoxia and aglycemia were modeled by method of Tian G. & Baker A.J. – the slices were placed into Krebs’ solution where glucose was substituted with the equivalent amount of mannit in the chamber with nitrogen atmosphere, at 32°C for 7.5 min. Then slices were placed into aerated Krebs’ solution in the incubation chamber. The slices were used for electrophysiological research in 1 hour after termination of anoxia and aglycemia procedure. Oxidative stress was modeled by method of de Almeida L.M., et al. , for which slices were subject to action of Н2О2 in the concentration 1 мМ for 30 min. After that slices were transferred into the incubation chamber and in 1 hour were taken for research. Since the main function of neurons is generation of postsynaptic potentials and action potentials, the earliest manifestations of neuron damage are considered to be an irreversible (sometimes progressive) decrease in the amplitude of pEPSP and of population spikes of pyramidal neurons of CA1 region, the latter being more vulnerable to damaging effects. If after systemic introduction of diacamphe into rats at the dose of 10 mg/kg less evident reduction in the amplitude of pEPSP was observed after action of damaging procedures on the brain slices, this was considered a manifestation of a neuroprotective effect. The level of depressiveness of rats was evaluated by registration of parameters of Porsolt swimming test (PST) . Rat were placed into a plexiglass cylinder with 46 cm diameter and 45 cm height filled with water (23-25оС) to the height 30 cm from the bottom. On the first day duration of swimming was 15 minutes (pretest); in 24 hours rats were placed into water for 6 minutes and their parameters were taken using video filming kept as a separate file. Immobilization behavior was characterized by a vertical position of a rat, absence of movements, with the fore feet pressed to the chest and hind feet stretched, head above the water The longer the immobilization, the higher the level of depressiveness of the animal. C = weight of consumed sucrose solution/ weight of consumed liquid x 100%. This procedure was repeated in 24 hours and on the 10th and 20th day after cessation of the swimming test. Experimental depressive syndrome was modeled by method of Sun P., et al . For this the rats every day were placed into water for 10 min. within five days after taking the initial parameters of PST. In 10 and 20 days after the last swimming session the immobilization time was determined. Diacamphe was introduced intraperitoneally at the dose 10 mg/kg once a day starting from the first day after cessation of the five-day stress-inducing procedure. Control animals were introduced the equal amount of solvent (0.9% NaCl solution). In control and experimental animals on the 10th and 20th day after the stress-inducing procedure alterations in the PST parameters and preference for glucose solution were recorded. Each series of experiments was conducted on 8-10 animals. The results of studies were processed by conventional methods of variation statistics using Medstat license program. For each series standard error of mean was determined. The reliability of differences between the compared values were assessed using paired Student t-test. Superfusion of hippocamp slices with Krebs’ solution containing diacamphe in the concentrations equivalent to doses 3, 10 and 30 mg/kg in vivo (13, 43 and 130 µM) produced no effect on the amplitudes of pEPSP of pyramidal neurons induced by electrical stimulation of Schaffer collaterals with increasing intensity. Action of diacamphe on the brain sections in concentrations 43 and 130 µM resulted in shortening of duration of pEPSP. Here, their amplitude did not change, but the falling edge became steeper. Since shortening of duration of pEPSP may be due either to suppression of amplitudes of their NMDA components or to enhancement of GABA-ergic inhibition causing shunting of pEPSP, it was decided to check these moments. It was found that diacamphe in the studied concentrations produced no influence on NMDA components of pEPSP. In higher concentrations diacamphe induced shortening of duration of NMDA components of pEPSP. In the concentration corresponding to the dose 10 mg/kg in vivo, diacamphe did not influence suppression of the amplitude of antidromic population spikes of pyramidal neurons induced by 1 µM GABA. Consequently, shortening of duration of pEPSP induced by diacamphe is not associated with the influence of the substance either on NMDA, or on GABA receptors. Understanding of the nature of this phenomenon required additional research. In research on hippocamp slices it was found that the preliminary action of diacamphe in the concentration 43 µM did not produce any significant effect on excitotoxic damage to pyramidal neurons induced by NMDA. In anoxic damage to neurons diacamphe in the same concentration showed neuroprotective activity on the edge of reliability. Diacamphe in the concentration 43 µM exhibited a moderate neuroprotective activity in action on the brain slices exposed to 1 mM Н2О2 (Fig. 1, curves 2 and 3). Different results were obtained with intraperitoneal introduction of diacamaphe into the rats at the dose 10 mg/kg 12 hours before electrophysiological experiments. Here, diacamphe significantly weakened suppression of synaptic reactivity of pyramidal neurons of hippocamp induced by oxidative stress and anoxia/aglycemia procedure (Table 1). At the same time, in case of systemic introduction diacamphe did not produce any effect on NMDA-induced excitotoxic damage to neurons. Fig. 1. Effect of diacamphe in the concentration equivalent to the dose 10 mg/kg in vivo on damage to pyramidal neurons induced by hydrogen peroxide (1 mM). 1 – changes in pEPSP amplitudes depending on the intensity of presynaptic stimulation in control slices; 2 – the same in 1 hour after stoppage of H2O2 action; 3 – the same as 2 in the presence of diacamphe in the concentration 43 µM. Thus, the results of these series of experiments show the existence of neuroprotective effect in diacamphe. It should be noted that, in contrast to nootropics (e.g., piracetam), diacamphe did not change the amplitude of pEPSP of pyramidal neurons in a single systemic introduction. However, in systematic introduction within 10 days diacamphe caused a significant increase in amplitudes of pEPSP on average by 20% mostly due to presynaptic effect, since a reduction in the value of paired-pulse facilitation with 50 msec interpulse period was noted (not illustrated). Of models that reproduce depression-like condition we chose a behavioral depression induced by five-day consecutive swimming for 10 minutes . The main advantage of this model is a prolonged, within one month, persistence of depressive status. Manifestations of this depressive status were diminished by procedures used for treatment of antidepressant-resistant forms of major depression, such as anticonvulsive therapy and transcranial magnetic stimulation [16,17]. We used two important components of the reproduced behavioral depression. The first component was helplessness that was assessed by duration of the time of immobilization in the forced swimming test. The second components reflecting emotional disorders – anhedonia – was assessed using the test of sucrose preference. 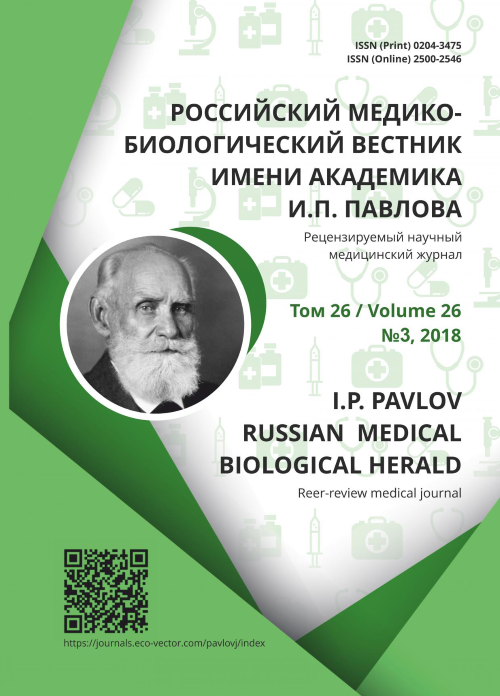 As it follows from Table 2, the action of swimming stress was manifested by increase in the level of helplessness of an animal which was evidenced by prolongation of immobilization time from от 45.5±2.6 sec to 133.0±5.1 sec. In parallel with this, reduction in the preference of sweet substance in comparison with water was observed from 83.6±4.4% to 57.6±5.3% (Table 2), which indicated an emotional disorder in the form of anhedonia. Since a traditional tricyclic antidepressant imipramine introduced at the dose 20 mg/kg within 20 days, diminished manifestations of both helplessness and anhedonia (Table 2), it can be suggested that the behavioral phenotype observed after swimming stress, could be considered a behavioral depression. This conclusion was made by other researches, since manifestations of behavioral depression in their experiments were reduced by electroconvulsive actions and by magnetic stimulation of the rat’s brain [16,17]. However, there exist opinions that alterations in the behavior of animals after swimming stress are not depression-like behavior, but an adaptation to stress, because the authors did not observe anhedonia in their works . The differences in results are due to the fact that in the latter work juvenile animals were used, while we and authors of other research works [16,19] used mature animals. Chronic introduction of diacamphe at the dose 10 mg/kg within 10 days did not cause reliable changes in the duration of immobilization of animals and in the parameters of preference of sucrose solution disturbed by swimming test (Table 2). However, after 20 days of introduction, diacamphe, like imipramine, demonstrated antidepressant-like effect, reducing duration of immobilization to 21.6±3.9 sec against 70.2±3.6 sec and increasing the parameter of preference of sucrose solution to 84.5±4.2% against 65.4±5.5% in animals that were introduced solvent (Table 2). As seen from Figure 1 and Table 1, diacamphe reduces damaging effects of oxidative stress and anoxia/aglycemia (ischemia) on pyramidal neurons of hippocamp. It should be noted that it is not diacamphe itself that possesses neuroprotective activity but its metabolite produced in the process of its biotransformation, since in intraperitoneal introduction the activity of diacamphe was higher than in its direct action of the brain slices (Fig. 1, Table 1). The ability to weaken stress-induced functional damages to neurons of the cortical and limbic structures of the brain may be a probable basis of its antidepressant-like effect. The latter is manifested by reduction in the immobilization time in the test with induced swimming and recovery of the level of preference of sweet solution in comparison with water after stress (Table 2). Antidepressant-like effect of diacamphe differs from that of imipramine. In 1 hour after intraperitoneal introduction, diacamphe, in contrast to imipramine, does not reduce the time of immobilization of intact rats in the test of induced swimming. Its antidepressant effect is not recorded in 10 days of its systematic introduction, although the anti-depressive effect of imipramine already manifests itself by that time (Table 2). Diacamphe – (±)-cis-3-(2’-benzimidazolyl)-1,2,2-trimethylcyclopentan-carbonic acid hydrochloride – diminishes damage to pyramidal neurons in slices of hippocamp induced by anoxia and oxidative stress, but not by excitotoxic action of N-methyl-D-aspartate. Neuroprotective effect of diacamphe is associated with its antidepressant-like activity that is manifested by reduction in the immobilization time in the induced swimming test (reduction in helplessness) and recovery of preference of sucrose solution in comparison with water (reduction in anhedonia). Shatilova OA. Eksperimental'noe izuchenie cerebro-protectivnykh i psikhotropnykh svoystv diakamfa [disserta-tion]. Khar’kov; 2010. (In Russ). Shvedsky VV, Shtrygol SYu, Merzlikin SI. Vplyv diakamfu gidrokhlorydu na pokaznyky energe-tychnogo obminu v golovnomu mozku shchuriv iz modellyu cerebral'noi ishemii na tli cukrovogo diabetu. Clinichna Pharmaciya. 2011;15(3):57-61. (In Ukrainian). Shvedskiy VV, Shtrygol SYu, Merzlikin SI, et al. Vplyv diakamfu gidrokhlorydu na intensyvnist neyroapoptozu pry eksperimentalnomu porushenni mozkovogo krovoobigu na tli cukrovogo. Pharmacologiya i Medicinskaya Toxicologiya. 2012;2:49-53. (In Ukrainian). Shvedskiy VV. Vplyv diakamfu gidrokhlorydu na krovopostachannya golovnogo mozku za ishemii-reperfuzii na tli alloksanovogo cukrovogo diabetu u shchuriv. Ukrains’kiy biopharmacevtychniy zhurnal. 2012;1-2:18-21. (In Ukrainian). Abramets II, Evdokimov DV, Talalayenko AN. Vliyanie chronicheskogo vvedeniya antidepressantov na pov-rezhdenie neyronov hippokampa i kory, vysyvaemoe vvedeniem NMDA (N-methyl-Daspar-tate. Neurophysi-ology. 2010;42(1):20-7. (In Russ). Abramets II, Evdokimov DV, Talalayenko AN. Rannie anoksicheskie povrezhdeniya hippokampa i ikh iz-meneniya obuslovlennye khronicheskim deystviem antidepressantov. Neurophysiology. 2011;43(2):123-33. (In Russ). Yacenko KA, Glazova NY, Inozemtseva LS, et al. Geptapeptid Semaks oslablyaet posledstviya nepredskazue-mogo khronicheskogo stressa u krys. Doklady Academii Nauk. 2013;453(5):581-4. (In Russ). Nussbaumer M, Asara JM, Teplitska A, et al. Selective mitochondrial targeting exerts anxiolytic effects in vivo. Neuropsychopharmacology. 2016; 41(7):1751-8. Mathew SJ, Manji HK, Charney DS. Novel drugs and therapeutic targets for severe mood disorders. Neuropsy-chopharmacology. 2008;33(12):2080-92. Abramets II, Evdokimov DV, Talalayenko AN, et al. Central'naya glutamatergicheskaya sinapti-cheskaya peredacha pri povedencheskoy depressii u krys. Neyronauki: theoretichni ta clinichni aspecty. 2006;2(1-2):22-30. (In Russ). Liu Y, Wong TP, Aarts M, et al. NMDA receptor subunits have differential roles in mediating exitotoxic neuronal death in vitro and in vivo. Journal of Neuroscience. 2007;27(11):2846-57. Tian GF, Baker AJ. Protective effect of high glucose against ischemia-induced synaptic transmission damage in rat hippocampal slices. Journal of Neurophysiology. 2002;88(2):236-48. De Almeida L, Leite MC, Tomazi AP, et al. M. Rosveratrol protects against oxidative injury induced by H2O2 in acute hippocampal slice preparations from Wistar rats. Archive of Biochemistry and Biophysics. 2008;480(1):27-32. Porsolt RD, Bertin A, Jalfre M. Behavioural «despair» in rats and mice: strain differences and the ef-fects of imipramine. European Journal of Pharmacology. 1978;51(3):291-4. Benelli A, Filaferro M, Bertolini A, et al. Influence of S-adenosyl-L-methionine on chronic mild stress-induced anhedonia in castrated rats. British Journal of Pharmacology. 1999;127(3):645-54. Sun P, Wang F, Wang L, et al. Increase in cortical pyramidal cell excitability accompanies depression-like behav-ior in mice: a transcranial magnetic stimulation study. Journal of Neuroscience. 2011; 31(45):16464-72. Sachdev PS, McBride R, Loo C, et al. Effects of different frequencies of transcranial magnetic stimulation (TMS) on the forced swim test model of depression in rats. Biological Psychiatry. 2002; 51(3):474-9. Mul JD, Zheng J, Goodyear LJ. Validity assessment of 5 day repeated forced-swim to model human depression in young-adult C57BL/6J and BALB/cJ mice. eNeuro. 2016;3(6):ENEURO.0201 -16.2016. doi: 10.1523/ENEURO.0201-16.2016. Serchov T., Clement HW, Schwarz MK, et al. Increased signaling via adenosine A1 receptors, sleep deprivation, imipramine, and ketamine inhibit depression-like behavior via induction of Homer1a. Neuron. 2015:87(2):549-62. doi: 10.1016/j.neuron.2015.07.010. Copyright (c) 2018 Zayka T.O., Evdokimov D.V., Abramets I.I.